Elizabeth Avedon: What inspired you to begin this project? Ellen Wallenstein: When my Dad died in 1996, he was 79. I couldn’t be there for him at the end of his life, and that led me to think about being a comfort to others at that time. So in 2001, I trained to become a hospice volunteer. I was assigned to Anne, who was in her mid-eighties; I was turning fifty, which is a big turning point in one’s life. Anne was a very interesting and incredible person, smart and funny, wise and beautiful. She had lived a very interesting (if ultimately tragic) life and I was very moved by her. I made photographs in her apartment and of her and her cat over a period of time. Those photographs (“Opus for Anne”) earned me a NYFA Fellowship and literally changed my life as an artist. After she died I decided to photograph other people of her generation (my parents’ generation) who had inspired me, intellectually and artistically. I began to write letters and asked my friends and colleagues for suggestions and introductions. EA: Did you always envision it as a book? EW: I’m always interested in editing and making workbooks – from the start I pasted little photos in a notebook, and then eventually made an expanding accordion that I carried with me to the shootings. People are more comfortable if they’ve seen some of your other photos, so they get a sense of what you are doing. Showing them the book was part of introducing myself to them. So I guess in the back of my head there was always the idea to publish it someday. I make a lot of one-of-a-kind books, I teach book-making, and so the book form is a natural way to envision my work. Also, that kind of goal can keep you on track. But I had no idea that it would end up being this book, with its really beautiful design by Renee Rockoff and the use of quotes and footnotes. That developed after I raised the money for it and began to work with Renee. The book took a very long time: we both like to get things right. Ultimately it was really good for the book, but it took a year longer than I had promised my supporters. I have a wish list of 80-100 more people I want to photograph, but I had to stop at a certain point to work on the first volume. I’ve sort of lost my momentum, not to mention my nerve, but I promised myself I’d continue with this. I have a sabbatical coming up next spring so I’ll have some extra time to get back to the job of outreach, and shooting, and finding a commercial publisher. EA: Who was the first portrait you took for this series? 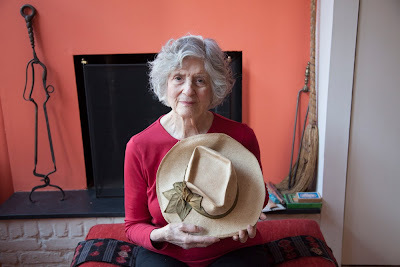 EW: Aside from my mother and her friends, Rebecca Lepkoff was the first person I photographed. I met her at an opening at City College, a show of photographers from the Upper Upper West Side (which is where I grew up, coincidentally.) Rebecca was part of this group - I introduced myself to her and asked if I could make a portrait and she said of course. I visited her in the fall of 2008. I’ve run into her from time to time; she’s still out there on the streets photographing in her 90s! 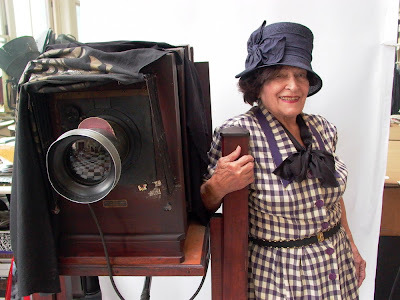 EA: Who is the oldest person you've photographed? EW: EvaZeisel was 102 (she lived to be 104). She was still working everyday, but was very frail and quite deaf so it was hard to communicate with her. Bel Kaufman was 100, and Ruth Gruber turned 100 the week after I photographed her. Bel and Ruth are friends; I was introduced to one through the other. They are both still around. EA: Which personalities stand out for you? EW: There was a big Intimidation Factor for me with some people. 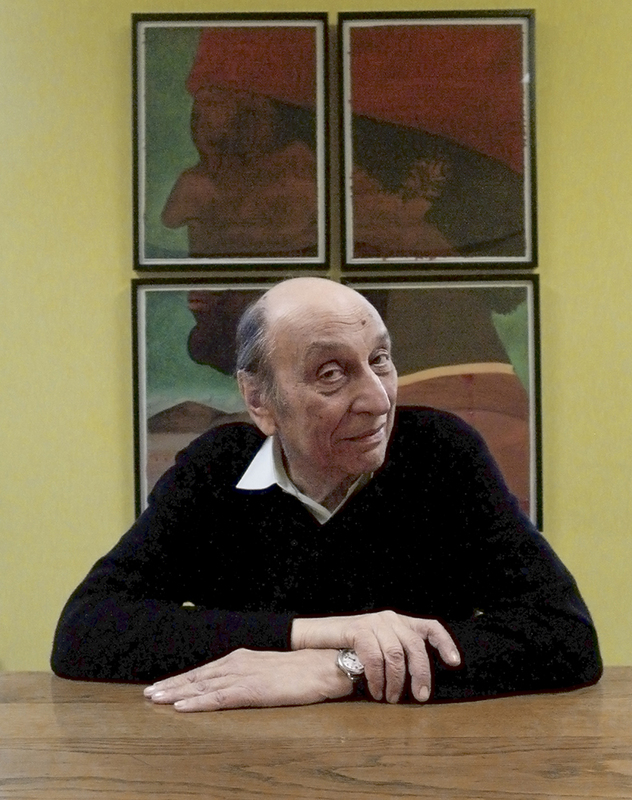 Milton Glaser and JudithMalina were the most intimidating, personality-wise. I was aware that Mr. Glaser is a busy man and that he didn’t have much time for me. But he was gracious. I photographed him in his conference room for about 10 minutes, until he said, “Okay, you got it. I have to go back to work”. Which he did. And, I think I did “get it”- I really like the photo of him- with his profile opposite the one in his Piero Della Francesca piece behind him. I think he looks quite elegant and handsome. Ms. Malina wanted to know why she had to hold an object; she didn’t think it worked- her cherished object was the peace sign necklace she’d been wearing since 1969. One of the kindest was A.R. (Pete) Gurney, who was really enthusiastic about my project and gave me many introductions (and a pair of theater tickets). Also Bel Kaufman who was so welcoming. And Irwin Corey, because of his personality and his history - he was 99 - going out every day to entertain and panhandle change from motorists at the midtown tunnel, to send to a charity in Cuba – ever the activist and fighter for human rights. 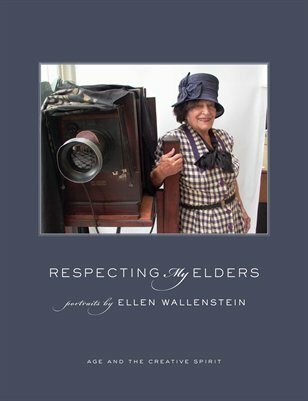 And of course my cover girl, Editta Sherman. EA: Please tell me about Editta Sherman! How did you meet? 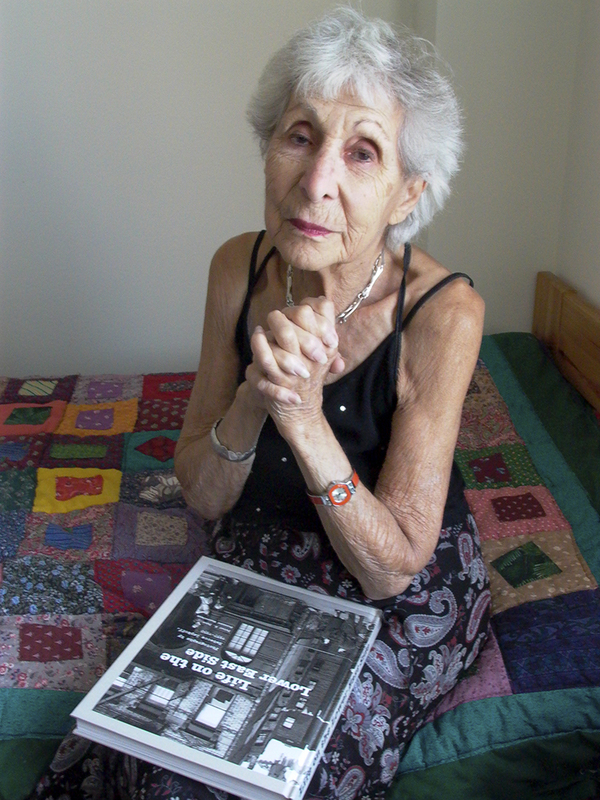 EW: Editta Sherman was 97 when I photographed her. She had photographed all the screen stars in the 30s, 40s and 50s. Now she’s 101 and quite the well-known character, especially because of Philip Gefter and Richard Press’s film “Bill Cunningham New York” and Josef Astor’s “Lost Bohemia”. My friend Kati Meister suggested her to me. I visited Editta this past summer, just before her birthday. She was thrilled with my book and excited and proud to be on the cover and invited me to her new home. She no longer lives at Carnegie Hall, which is a sad part of history, but she has a lovely apartment on Central Park South overlooking the park, not a bad place to end up in one’s life. She’s working on a book of her photographs, which she hopes to publish soon; she talked quite a bit about that. EA: Do you keep in touch with any of your subjects? EW: JeanyeeWong, a wonderful calligrapher became a good friend. (She designed the word Seventeen for the magazine cover, the Heinz ketchup label, and thousands of book covers). I used to visit her at her fifth-floor walk-up (!) near Gramercy Park, but recently she moved to an assisted living facility uptown, where I go to visit sometimes. She’s 92 now and quite frail; she couldn’t make it up all those steps anymore. Bel Kaufman wrote me a lovely thank you note for sending her the book which she signed “Your new old - very old - Friend”. 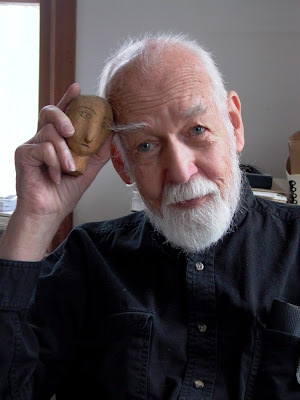 And I’ve been in touch with Pete Gurney and Edward Albee, sending them updates on my work and hearing back from them. EA: How did you raise funds? What can you say about that process? EW: I raised funds for this book through United States Artist.org, which is a “micro-philanthropy” that helps artists and artists’ projects. You have to be a vetted artist to post a project, which put me in some good company. And the donations are tax-deductible. My original idea was to make a book and create a website for the project, but that was a bit of an overreach! There were some expenses I hadn’t counted on, like an ISBN number and postage costs, etc. But, I made something I really like that was distributed to all my supporters and is available online for a reasonable price. 98% of my supporters were my own friends and contacts. It helps to be older: my circles are actually very wide (and overlapping) at this point. Raising funds, asking for money, is an arduous task. Most artists aren’t cut out for it. I personally found the process excruciating. However, I did it and I’m proud and grateful to have met my goal, thanks to my friends. I’m thrilled to have my book out there in the world. EA: Is there anything interviewers have missed that you would like to say about your work, your book, about anything? 1. Always follow your ideas, your instincts, and your dreams. 2. Do the work, do the work, do the work. Thursday, September 12, 2013, 6-8 P.M.
Les personnes âgées ne sont pas suffisamment photographiées. Pourtant, leurs visages racontent tellement de choses. Cette série me surprend par la qualité des portraits mais aussi par son humanité. Très beau travail et très beau blog.